For all installation work our estimator will visit your site and provide you with a free, no obligation written quotation of your requirements. Our experienced fitting teams are able to install all types of fencing and gates. 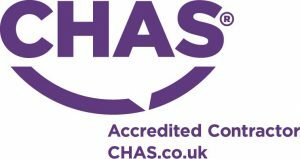 We are registered on the local Authorities/Housing Association and local Builder’s list of approved Contractors, we are a member of Constructionline and CHAS compliant. Please Contact Us for further information on our services.